After a soft September, the US dollar seems to be regaining its strength against most G10 and emerging Asian currencies. While there is nothing on the calendar to unsettle this, but all eyes will be on the People’s Bank of China's yuan fixing after the holiday. The USD/CNY fixing ground was higher in the week before the holidays, and the market spot almost followed suit. The US dollar’s comeback and heavy stock market sell-off in Hong Kong this week, possibly spilling over to Mainland China suggests CNY will resume trading on a weaker note. China’s September data also influences the markets, starting with the foreign reserves data to be released over the weekend followed by trade and monetary data over the course of the week. Unlike the CNY devaluation in 2015, when reserves experienced significant outflows, they have been pretty stable around $3.1 trillion despite the steep yuan depreciation this year. We believe this state of affair prevailed in September, as the trade war impact has yet to show up in the real activity and exports continue to grow by the high single-digit pace. General market tone: risk off. A hawkish Fed and continued robust economic numbers out from the United States saw the Treasury yield jump weigh on global markets. US economic data has driven Fed speakers to take on a hawkish tone, forcing Treasury yields north and weighing heavily on global risk appetite. 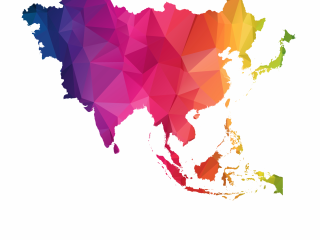 Good MornING Asia - 5 October 2018 A question of confidence ASEAN Morning Bytes Asia week ahead: Will Singapore’s central bank tighten policy again?